specialists in Melbourne and The Mornington Peninsula. With years of experience in the high pressure cleaning, our team of specialists are extremely knowledgeable and well-equipped to carry out a range of high pressure cleaning for residential, commercial and industrial clients. 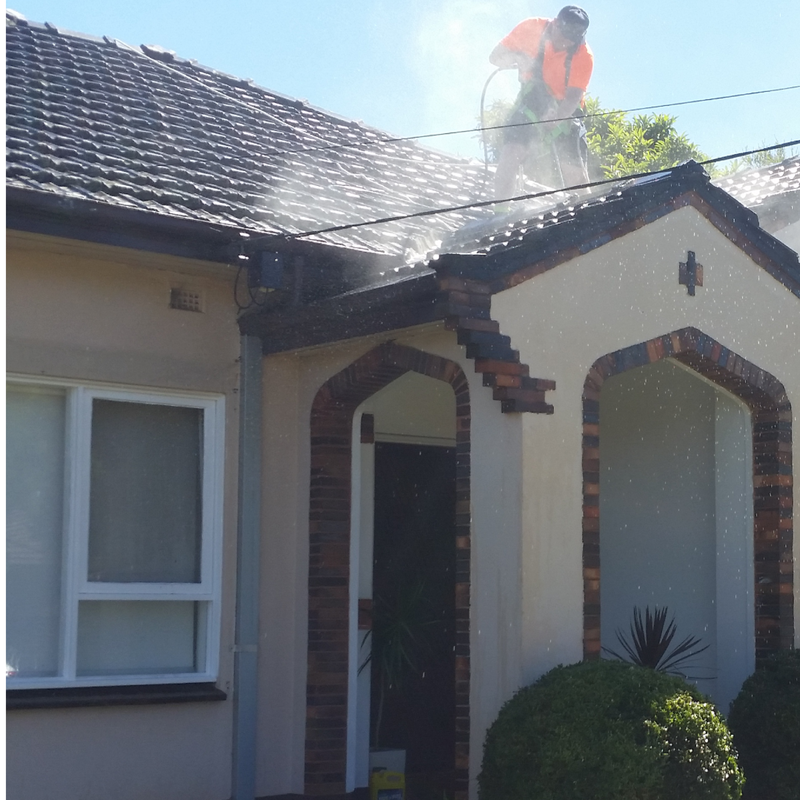 From concrete driveways and brick houses that require pressure cleaning; commercial areas like shopping centre grounds and carparks to industrial plants, factories and more, Melbourne Pressure Cleaning handles high pressure cleaning jobs from small scale to large. Whether it is a one-time appointment or cleaning that is required on a periodic or more frequent basis, we can customise a schedule that suits your individual needs. Where larger companies may be focused on maintaining a high volume of jobs, we prefer to place importance on high standards and personalised service for our customers. When clients deal with Melbourne Pressure Cleaning, they deal with a dedicated team member who oversees their project needs from the beginning to end and everything in between. Rather than deal with anonymous call centre personnel, we want our clients to feel familiar and assured whenever they deal with a Melbourne Pressure Cleaning specialist. We understand that high pressure cleaning is done to meet more specific needs. Dirt, dust and varying weather conditions can result in mould, mildew and tough stains that cannot be removed with everyday cleaning methods. We take time to understand your situation and apply the best pressure cleaning method that eliminates dirt and contaminants, and will suggest a routine so that your home, commercial or industrial grounds stay in top condition and maintain a presentable appearance. Lower Plenty, Montmorency, Eltham, Kew, Balwyn, Bulleen, Templestowe, Doncaster, Donvale, Warrandyte, Blackburn, Forest Hill, Nunawading, Mitcham, Vermont, Ringwood, Heathmont, Croydon, Kilsyth, Mooroolbark, South Yarra, Toorak, Armadale, Malvern, Caulfield, Ashburton, Ashwood, Chadston, Mount Waverley, Glen Waverley, Wheelers Hill, Burwood, Knox, Wantirna, Bayswater, Ferntree Gully, Lysterfield, Upwey, Belgrave, Caulfield, Carnegie, Murrumbeena, Dandenong, South Bentleigh, Huntingdale, Oakleigh, Clayton, Notting Hill, Clayton, Mulgrave, Springvale, Keysborough, Noble Park, Rowville, Scoresby, Knoxfield, Prahran, Windsor, St Kilda, Balaclava, Elwood, Elsternwick, Glen Waverly, Gardenvale, Brighton, Hampton, Moorabbin, Highett, Sandringham, Cheltenham, Beaumaris, Black Rock, Mentone, Aspendale, Braeside, Mordialloc, Parkdale, Waterways, Bonbeach, Chelsea, Edithvale, Carrum, Patterson Lakes, Seaford, Frankston, Carrum Downs, Heatherton, Bentleigh, Mckinnon, Ormond, South Melbourne, Albert Park, Langwarrin, Baxter, Langwarrin, Pearcedale, Somerville, Tyabb, Hastings, Mount Eliza, Mornington, Moorooduc, Mount Martha, Arthurs Seat, Dromana, Safety Beach, Red Hill, Mccrae, Lynbrook, Lyndhurst, Hampton Park, Cannons Creek, Cranbourne, Devon, Meadows Skye, Cardinia, Clyde, Blind Bight, Tooradin, Koo Wee Rup, Grantville, Lang Lang, Nyora, Melbourne, Carlton, Endevour, Hills, Parkdale, Narre Warren, Cranbourne, Berwick, Pakenham, Montrose, Yarra Glen, Healesville, Cockatoo, Sassafras, Olinda, Sherbrooke, Hallam, Berwick, Harkaway, Beaconsfield, Officer, Pakenham, Maryknoll, Nar Nar Goon, Tynong, Garfield, Bunyip, Drouin, Traralgon, Langwarrin, Baxter Langwarrin, Pearcedale, Somerville, Tyabb, Hastings, Mount Eliza, Mornington, Moorooduc, Mount Martha, Arthurs Seat, Dromana, Safety Beach, Red Hill, Mccrae, Lynbrook, Lyndhurst, Hampton Park, Cannons Creek, Cranbourne, Devon Meadows, Skye, Cardinia, Beaconsfield, Mulgrave, Brighton.